Wizkid and his now regular collaborator superstar musician Drake are at it again. This time, they titled their new song Hush up the Silence. 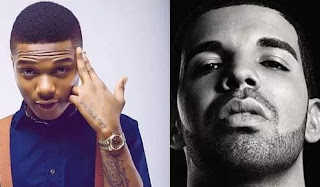 This is not the first time Wizkid has enlisted the help of Drake on a song. Their first effort was the remix of Wizzy’s chart topping song Ojuelegba which also featured British/Nigerian rapper Skepta. Their second song was One Dance ft. British musician Kyla. This song was nominated for a Grammy award. Hush up the Silence sees Wizkid adopt a Caribbean style while delivering his lines on the song. This confirms that Wizkid isn’t just singing as a Nigerian musician anymore. He keeps experimenting on his sound. But he seems okay with the Reggaeton genre. He adopted this style on Daddy Yo ft. Efya, the aforementioned One Dance and Mamacita ft. Tinie Tempah. 2017 will see Wizkid put out a lot of music. Apart from his upcoming EP Sounds From The Other Side, he has promised to release a project with Wande Coal, and 3 other mixtapes.